In a disappointing blow to low-wage workers, the Supreme Court ruled Tuesday that employees at an Amazon warehouse do not have to be paid for the time they spent waiting to be screened by security after their shifts. Two former employees sued the hiring company, Integrity Staffing Solutions, alleging that they had to spend roughly 25 minutes a day undergoing those screenings and that they were not paid for that time. It was required that all warehouse workers go through the screening to make sure they weren't stealing anything from the warehouse. They had to remove wallets, keys and belts as they passed through metal detectors. The routine is not uncommon at other big name companies, including Apple (AAPL). "This is an early holiday present for Amazon," said labor attorney Michael Droke, who was not involved in the case. While the workers argued that they should be paid for that time because the screening was required, the Supreme Court disagreed unanimously overturning a previous decision made by the federal appeals court. The court found that the workers don't have to be paid because under federal law, they do not have to be compensated for time spent performing an activity that they were not hired to do. For example, federal law says that employers don't have to pay workers for time spent traveling to and from work. They also don't have to pay workers for activities that occur before or after a shift when they are not "integral" to the work they were hired to do. The screenings are not an activity that the workers were actually hired to perform, wrote Justice Clarence Thomas. 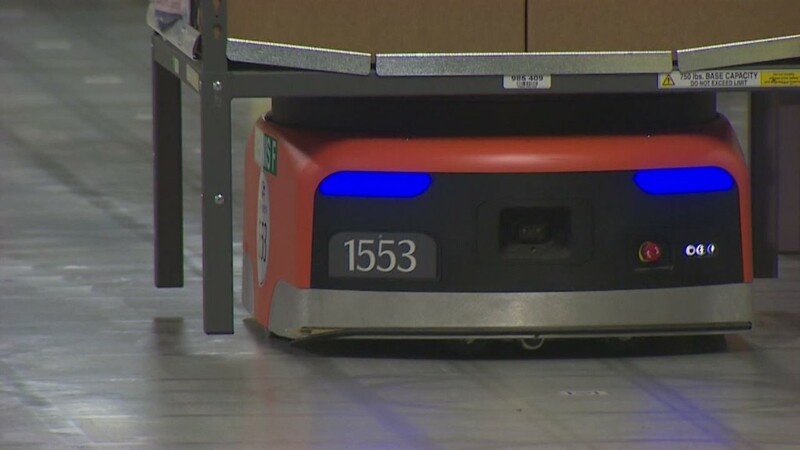 The employees were hired to retrieve products from warehouse shelves and package those products for shipment to Amazon (AMZN) customers, not to go through security screenings. Neither were the screenings "integral" to that work. In fact, Integrity Staffing Solutions could do away with the screenings altogether and the warehouse work could still get done, wrote Justice Thomas.